Introduction: oral appliance for the treatment of OSA is considered as an effective, low-risk alternative to CPAP. Demand for oral appliance increases as an alternative for those who cannot tolerate CPAP and refuse surgery. Oral appliances uses the traditional methods to advance the mandible thus modify the posture and their by enlarge the airway or otherwise reduce the collapsibility. Aims and Objectives: The main objective of this study was to evaluate the efficacy of custom made oral appliance on sleep characteristics of OSA patients. Materials and Methods: Polysomnography was done on 15 patients of 24-60 years of age before (T1), and after the delivery of the custom made oral appliance (T2). Statistical Analysis: Paired t tests were performed to determine the significance of change in the polysomnographic and cephalometric variables. P < 0.05 was considered as significant. Results: All patients with oral appliance showed an improvement in sleep parameters with an increase in sleep efficiency, and desaturation index with the use of oral appliance. 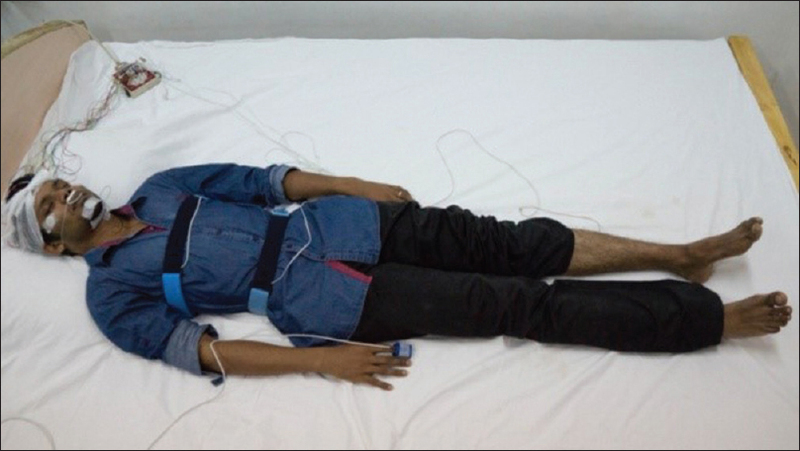 ESS and cephalometric findings showed improvement in the sleep apnea in concordance with the sleep parameters. Conclusions: Custom made oral appliance is a useful treatment option for improving quality of sleep and can be considered as an alternative treatment modality. Clinically, the patient history reveals loud snoring, experiences apneas, nocturnal awakening, gasping or choking episodes during sleep, unrefreshing sleep, morning headaches, excessive daytime sleepiness, etc., the diagnosis of OSA is established using polysomnography (PSG). The various imaging techniques such as lateral cephalometry, computed tomography (CT), cone-beam computed tomography, magnetic resonance imaging are used for the evaluation of upper airway. Even though lateral cephalogram provides only a two-dimensional image, it is most widely used technique in clinical practice. Other alternatives include behavioral and surgical weight-loss therapies, positional therapy, pharmacologic therapies, pharyngeal and maxillomandibular surgeries, and oral appliances (OA). Among these modalities except for the OA, clinical results with nonsurgical OSA therapies have been largely unsatisfactory. 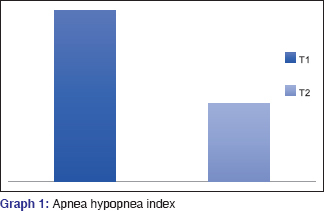 Thus, clinically the OA for the treatment of OSA is considered as an effective, low-risk alternative to CPAP. Demand for OA increases as an alternative for those who cannot tolerate CPAP and refuse surgery. OA uses the traditional methods to advance the mandible, thus, modify the posture and their by enlarge the airway or otherwise reduce the collapsibility. Gotsopoulos et al. stated  that OA are a good alternative for the treatment of snoring and obstructive sleep apnea syndrome due to their relative comfort and ease of use, which can, therefore, lead to greater patient compliance. Most of the commercially available appliances are expensive which restricts its use by the common man as the affordability is a major issue. Hence, in an attempt to reduce the cost without compromising the comfort and quality in terms of efficacy and other benefits of OA, a new custom made design was developed. The aim of this study was to evaluate the efficacy of a custom made cost effective OA. PSG diagnosed OSA patients referred from Department of Sleep Medicine, Amrita School of Medicine was considered for the study. A sample of 15 patients, 10 males and 5 females were selected. Patients with pathologic evidence of airway obstruction also were excluded. The efficacy, as well as the merits and demerits of various treatment modalities, including OA were discussed with patients. All selected patients agreed with the treatment plan of using a custom made OA developed at the Dental Sleep Lab, Department of Orthodontics and Dentofacial Orthopedics, Amrita School of Dentistry. Diagnostic records included detailed case history, clinical examination, pre- and post-treatment PSG, pre- and post-lateral cephalogram, and questionnaires. The efficacy of the custom made OA was evaluated with the following parameters. Posttreatment PSG with OA T2. Airway parameters were evaluated with and without appliance using lateral cephalometry. Variables measured are defined herein and represented graphically in [Figure 2]. PNS-P: The length of the line that connects the posterior nasal spine and the tip of the soft palate. 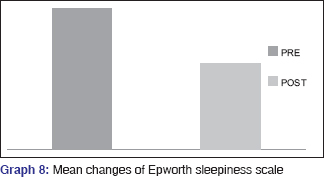 The Epworth sleepiness scale (ESS) is a simple and validated questionnaire for assessing subjective daytime sleepiness in the context of sleep disorders. It consists of eight questions, each scored with a degree of severity ranging from 0 to 3. This yields a total score of 0 (minimum) to 24 (maximum). All patients were asked to fill in the ESS at T1 and T2. Impressions of upper and lower arch of the selected patients were recorded. Appliances were fabricated and delivered from the sleep lab. Specific instructions were given to the patients on the insertion, removal, and storage of the appliance. The patients were recalled after 2 weeks for further adjustments if needed and evaluated once in 30 days from then on. A follow-up PSG was done to evaluate the change in sleep characteristics. [Figure 3] shows the armamentarium used for the construction of oral appliance. A bite registration was recorded using wax bite with the mandible advanced to about 75%  of the maximum protrusive limit and with a vertical increase of 3-4 mm. Articulation of the models were done with the bite registration in place. The upper and lower base for the appliance were [Figure 4] fabricated in the vacuum pressure molding device (Biostar) with a thermoplastic material (scheu dent-durasoft 1.5 mm thickness). 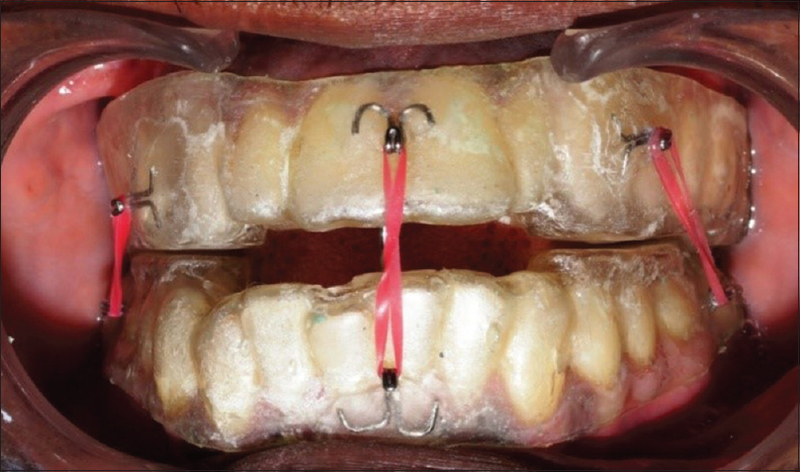 Posterior bite blocks similar to twin block appliance were fabricated on to the upper and lower thermoplastic base. A ball end pin placed lingual to lower incisors is positioned in such a way that it engages the acrylic trough given in the palatal area of upper anteriors, when the mouth is closed. Hooks were incorporated in the lateral and frontal side. Inter arch elastics to these hooks are provided to help prevent mouth opening during sleep [Figure 5]. Statistical analysis was done using IBM SPPS 20 version Software. Continuous variables were presented as mean ± standard deviation parametric paired t-test was used for comparing the averages of sleep parameters of PSG and lateral cephalogram at different time periods (T1, T2). P < 0.05 was considered significant at the power of 80% and confidence of 95%. Fifteen patients (10 males and 5 females) between the age group of 30 and 60 years were included in the study. All the patients using OA continuously had improvement in their subjective symptoms. Totally, 12 out of 15 patients were comfortable with the appliance. PSG data without the OA (T1) and with the OA (T2) shows a mean reduction in the AH index (AHI) value from 23.87 ± 18.12 to 10.87 ± 11.56 [Graph 1]. Statistically significant reduction in the AHI was obtained with a P < 0.001 between T1 and T2. 8 out of 15, that is, 53% patients showed a decrease of 50% from the initial value. The percentage of reduction from the baseline oxygen to the desaturation nadir between T1 and T2 were compared. 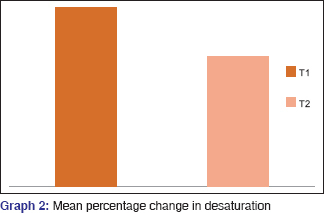 This value showed an improvement in desaturation nadir, which was not statistically significant [Graph 2]. 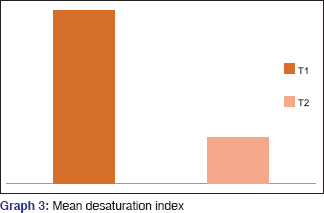 Desaturation index by definition is the number of times per hour of sleep that the oxygen level drops by 3% or more from the baseline O 2 saturation. Statistically significant reduction of desaturation index was obtained with a P < 0.008 with mean values of 17.5 ± 17.7 and 4.7 ± 8.8 between T1 and T2. In this sample, 8 out of 15 patients showed desaturation index of below 3 [Graph 3]. 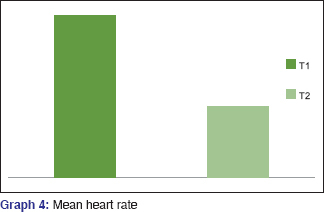 Statistically significant reduction in the mean heart rate showed a P < 0.003 with mean values of 70.53 ± 15.59 at T1 and 58.93 ± 6.52 at T2, which is a positive correlation showing changes following the improvement in the sleep characteristics [Graph 4]. SAS shows a statistically significant increase was found with a P < 0.006 with mean values of 5.70 ± 2.7and 9 ± 2 for T1 and T2. 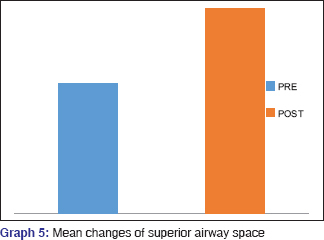 This shows an improvement in the upper airway dimensions [Graph 5]. Statistically significant increase in the MAS were found with a P < 0.015 and mean value of 5.4 ± 3.3702 and 3.9 ± 1,969 at T1 and T2 [Graph 6]. 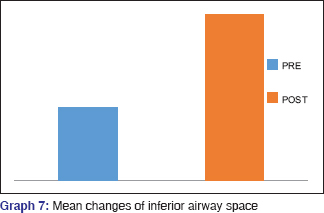 Increase in IAS also contributed to the improvement in the airway dimension, but was not statistically significant with a P < 0.257 and mean values of 7.60 ± 3.4 at T1 and 9 ± 3.0 at T2 [Graph 7]. The ESS values showed an overall reduction in the score from a mean value of 12.73 ± 2.43 at T1-7.73 ± 3.39 at T2. The result obtained was statistically significant at a P < 0.000 [Graph 8]. The benefit of OA has made it a popular mode of treatment for OSA. User friendliness and fewer side effects have increased its widespread acceptance. The evidences of the use of OA in the treatment of glossoptosis in infants with micrognathia dates back as early as 1905. In 1991, American Academy of Sleep Dentistry was formed and in the year 2000, a section of OA was created in the academy of sleep medicine. The study was done to evaluate the efficacy of custom made appliance. Bonham et al. reported an improvement in the airway by the increase of velopharyngeal space following the use of OA. Schmidt-Nowara et al. in his review found an improvement in the efficacy of the OA by the forward positioning of the mandible. Studies by Lowe et al. had a similar opinion regarding the improvement in airway space using OA. According to the Kushida et al. OA are indicated as a primary treatment of choice for those with mild-to-moderate OSA and also as an alternative in patients with severe OSA, who failed to comply with CPAP treatment. The various designs of OA are available, which include patented appliances and custom-made appliances. According to the Lettieri et al. the role of OA as a cost-effective treatment for OSA is in demand, as there is a rapid increase in the prevalence rate of sleep disordered breathing. Other factors such as easy portability and no power source for the operation increases its acceptance. Also better tolerance, therapeutic adherence, and social acceptance make it a favorable choice. According to the Eckhart  OSA is considered as a public health problem. The cost of the OA should be taken into account before it is prescribed, and applied to a large portion of the population. Thus, it was decided to choose a custom made OA which was designed at our dental sleep lab. 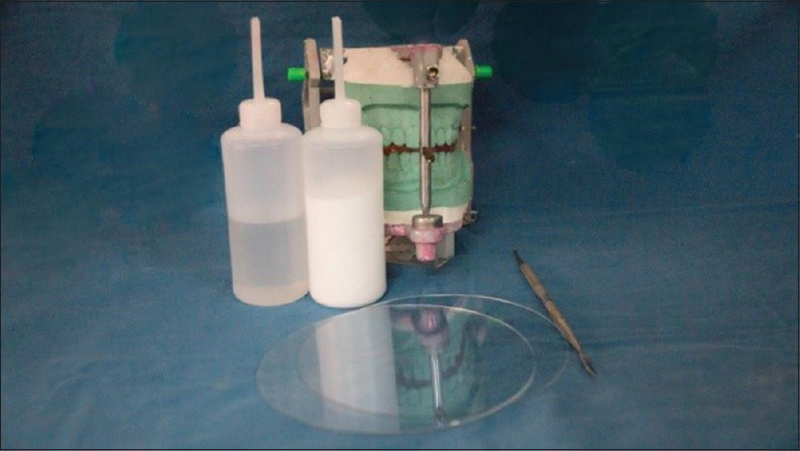 The choice of the appliance has been influenced by the cost of the treatment, ease of fabrication, greater mandibular movements, and the low cost. Rose et al. had found a positive co-relation between the greater amounts of mandibular protrusion and its ability to reduce the AHI. According to the Clark et al. ideal comfortable position for the mandibular protrusion is considered to be 75% of the maximum protrusion. Hence, it was decided to keep the maximum protrusion limit to 75% in this study. The materials selected for the fabrication were based on ease of availability and biocompatibility. According to the Marklund et al. occlusal changes were seen as one of the long-term effects of OA. The thermoplastic material, which is used in essix retention was used as a base material in this study. This is expected to minimize the occlusal derangement. Posterior bite blocks with angulations of 70° similar to twin block were incorporated to hold the mandible in the forward position while the mouth is closed. Meurice et al. highlighted the importance of the correct therapeutic position of the mandible, which is critical for the success of appliance in OSA patients, both in terms of opening the airway, as well as patient comfort, and compliance. Elastics engaged to the hooks reinforce the forward positioning effect of the appliance during sleep. A pin and trough was provided on the appliance, where the pin was positioned lingual to the lower anteriors, and the trough was positioned on to the palatal aspect of the upper anterior, so that the pin gets locked on to the trough while the patient closes the mouth with the appliance in position. This prevents the appliance from slipping back during sleep. All the patients with the appliance showed a significant decrease in the AHI; this is in par with the studies of Marklund et al. All the patients in this study showed a decrease in mean heart rate, which was statistically significant. This shows a positive response of the patients toward the OA treatment. The DI showed a statistically significant decrease. The decrease in this index corresponds to the improvement in the sleep conditions. In this study, cephalometrics have played a vital role in assessing the improvements following OA. SAS and MAS showed a statistically significant improvement in the postcephalometric assessment with the OA. SAS value recorded, accounts for the most amount of increase among the linear measurements. The decrease in PNS-P corresponds to the change in the displacement of the soft palate along with tongue during the forward displacement of the mandible. Initial discomforts of excessive salivary secretion and discomfort in the muscles of mastication subsided within the first 1-month of use. O Sulluvien et al. has reported excessive salivation and transient discomfort in muscles of mastication as short-term complications. However, these patients reported a reduction in the excess salivation and muscle pain within 2 weeks time. This custom made appliance has proved to be as effective as any other OA available. It was easy to fabricate due to its simple design and were superior in terms of patient comfort and efficacy. This particular design helps to overcome the unwanted effects of occlusal derangement, long-term evaluations are required. The economic viability of this appliance makes it a preferred choice for the treatment of OSA. OSA is indeed a health condition, which comes with fair share of psychological trauma and may lead to confecting heart murmur and sudden death, which can be reduced to a great extent by use of this cost effective and simple to use OA. This study supports the use of OA as most of the sleep parameter evaluated showed improvement. Therefore, custom made OA can be effectively used in the treatment of OSA as an alternative and at times as a definitive treatment modality. Gotsopoulos H, Kelly JJ, Cistulli PA. Oral appliance therapy reduces blood pressure in obstructive sleep apnea: A randomized, controlled trial. Sleep 2004;27:934-41. Zancanella E, Haddad FM, Oliveira LA, Nakasato A, Duarte BB, Soares CF, et al. Obstructive sleep apnea and primary snoring: Diagnosis. Braz J Otorhinolaryngol 2014;80:S1-16. Epstein LJ, Kristo D, Strollo PJ Jr, Friedman N, Malhotra A, Patil SP, et al. Clinical guideline for the evaluation, management and long-term care of obstructive sleep apnea in adults. J Clin Sleep Med 2009;5:263-76. Menn SJ, Loube DI, Morgan TD, Mitler MM, Berger JS, Erman MK. The mandibular repositioning device: Role in the treatment of obstructive sleep apnea. Sleep 1996;19:794-800. Riley RW, Powell NB, Guilleminault C. Obstructive sleep apnea syndrome: A review of 306 consecutively treated surgical patients. Oto Head Neck Surg 1993;108:117-25. 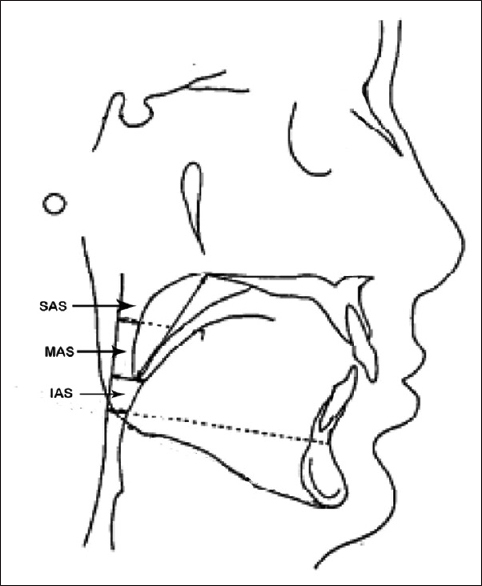 Yow M. An overview of oral appliances and managing the airway in obstructive sleep apnea. Semin Orthod 2009;15:88-93. Kushida CA, Efron B, Guilleminault C. A predictive morphometric model for the obstructive sleep apnea syndrome. Ann Intern Med 1997;127:581-7. Clark GT, Blumenfeld I, Yoffe N, Peled E, Lavie P. A crossover study comparing the efficacy of continuous positive airway pressure with anterior mandibular positioning devices on patients with obstructive sleep apnea. Chest 1996;109:1477-83. Ferguson KA, Ono T, Lowe AA, Keenan SP, Love LL, Fleetham JA. A randomized crossover study on a controlled study of an oral appliance vs continous positive airway pressure in the for the treatment of mild to moderate obstructive sleep apnoea. Thorax 1996;109:1269-75. Padma A, Ramakrishnan N, Narayanan V. Management of obstructive sleep apnea: A dental perspective. Indian J Dent Res 2007;18:201-9. Bonham PE, Currier GF, Orr WC, Othman J, Nanda RS. The effect of a modified functional appliance on obstructive sleep apnea. Am J Orthod Dentofacial Orthop 1988;94:384-92. Lowe AA. Dental appliances in the treatment of snoring and obstructive sleep apnea. In: Kryger MH, Roth T, Dement WC, editors. Principles and practice of sleep medicine. Philadelphia: WB Sanders, 1994. Kushida CA, Morgenthaler TI, Littner MR, Alessi CA, Bailey D, Coleman J Jr, et al. Practice parameters for the treatment of snoring and obstructive sleep apnea with oral appliances: An update for 2005. Sleep 2006;29:240-3. Randerath WJ, Heise M, Hinz R, Ruehle KH. An individually adjustable oral appliance vs continuous positive airway pressure in mild-to-moderate obstructive sleep apnea syndrome. Chest 2002;122:569-75. George PT. Selecting sleep-disordered-breathing appliances. Biomechanical considerations. J Am Dent Assoc 2001;132:339-47. Pantin CC, Hillman DR, Tennant M. Dental side effects of an oral device to treat snoring and obstructive sleep apnea. Sleep 1999;22:237-40. Lettieri CJ, Paolino N, Eliasson AH, Shah AA, Holley AB. Comparison of adjustable and fixed oral appliances for the treatment of obstructive sleep apnea. J Clin Sleep Med 2011;7:439-45. Eckhart JE. Comparisons of oral devices for snoring. J Calif Dent Assoc 1998;26:611-23. Rose E, Staats R, Virchow C, Jonas IE. A comparative study of two mandibular advancement appliances for the treatment of obstructive sleep apnoea. Eur J Orthod 2002;24:191-8. Marklund M, Sahlin C, Stenlund H, Persson M, Franklin KA. Mandibular advancement device in patients with obstructive sleep apnea: Long-term effects on apnea and sleep. Chest 2001;120:162-9. Meurice JC, Marc I, Sériès F. Efficacy of auto-CPAP in the treatment of obstructive sleep apnea/hypopnea syndrome. Am J Respir Crit Care Med 1996;153:794-8. Johal A, Battagel JM. Current principles in the management of obstructive sleep apnoea with mandibular advancement appliances. Br Dent J 2001;190:532-6. Lawton HM, Battagel JM, Kotecha B. A comparison of the Twin Block and Herbst mandibular advancement splints in the treatment of patients with obstructive sleep apnoea: A prospective study. Eur J Orthod 2005;27:82-90. Marklund M, Franklin KA, Sahlin C, Lundgren R. The effect of a mandibular advancement device on apneas and sleep in patients with obstructive sleep apnea. Chest 1998;113:707-13. O'Sullivan RA, Hillman DR, Mateljan R, Pantin C, Finucane KE. 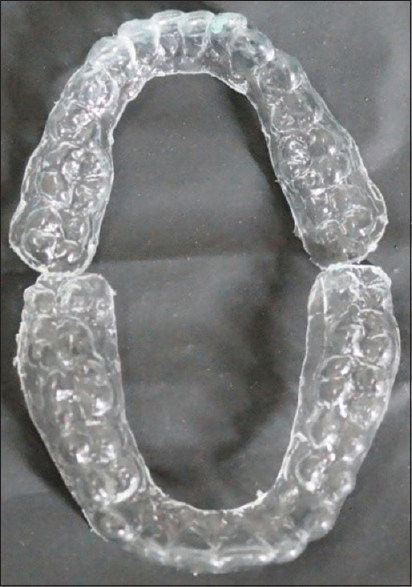 Mandibular advancement splint: An appliance to treat snoring and obstructive sleep apnea. Am J Respir Crit Care Med 1995;151:194-8.